Beach erosion, or a natural cycle? Boy! The surf looks rough out there today! Combination of high winds and high tide? So Kenny - I know this is a bit lazy but I don't have time to read the document right now and not sure when I can get back to it - is the beach going to be renourished again? If so when is it expected to start? How are ya, buddy! Good to hear from you. You asked a question and I thought I would let Richard Pryor answer it. "Ain't nobody gonna stop no wata when it wanna go!" Properties whould have never been built on a barrier island in my opinion. Oh, maybe some rudimentary cinderblock type of campsites that if destroyed, would not do much damage to the environment. However, the dollar took over decades ago and it is what it is. I have every confidence that Escambia, Santa Rosa and Okaloosa counties will re-build the beach, regardless of the number of times it is taken out or taken back into the Sound! Same with the beach road. They either do not want to face reality or are prepared to face reality with millions of dollars. I do know this, the sand that is on Navarre Beach right now is NOT Navarre Beach sand of Pre-Ivan, regardless of how much work they do. Go take a feel of the sand over on any given property ( the Lazy Dolphin..7522 Gulf Blvd to name one) across the street from the beach and then feel the sand on the beach now. Totally different. The sand of the beach pre-Ivan is on those properties and sitting on the Sound bottom. The "backyard" of the Lazy Dolphin is so incredibly soft and silky and snow white. When you feel it and walk on it, that is what used to be the beach. They can not duplicate what God created and placed, although they certainly give it their all! I was just wondering .... when they did the renourishment of the beach, did they compact the sand, or just pile it up? And that is why it's eroding so badly? Do you think that if they compacted it, or rolled it, (like they do when putting blacktop down on a highway) that would hold it there better? Just a wild thought, but makes some sense to me. I would think with all those engineers working on it, they would think of something so simple, but you never know. P'Kid you are so right about the sand that is there now not being the same sand as before Ivan. Not nearly as white or as soft as the pre Ivan sand. I was surprised in '07 when we made our first post Ivan visit. Don't get me wrong....the county did a fine job with what they had to work with but the beach today is NOT what it was pre-Ivan...not by a long shot. It is stunning to feel the sand of old and then what the beach is now! Now the shells and shelling is better now for sure! Hey it is still better than 100% of any other place on the mainland though! It aggrevates me when people start that "should'nt have built on a barrier island" argument. My family and I have been coming to Navarre Beach since 1978, and up until Ivan, I never noticed much change in the beach. Then, we had back to back with Ivan and Dennis, which was as major as it gets, and we lost the beach. The island as a whole is sound, and obviously suitable for development. Pensacola Beach has been there as long as I can remember, and it doesn't seem to be going anywhere. I do question the job that was done in the rebuild project. It makes you wonder,,,,,, what is different now . Had there ever been a beach renourishment project before Ivan?? Was that ever a problem before the two storms. Is it possible the tides have changed over the years?? There must be a reason . I was there in Oct at the Regency and while we have to deal with wheelchair issues, we had perfect access to the beach at the Regency. However, there was such a high dropoff we could not get the beach wheelchair down to the edge of the water. I finally had to push it a very long way to the west till i could find a more level place. I know it was not like that last time I visited several years ago. I am glad to hear you all discuss this . I asked my web browser, "how are beaches formed?" and here's the link it gave me ... perhaps a little elementary but pretty interesting! AG, thanks for the link. I found it very informative and not elementary at all, although elementary is a good place to start. Even though it is from New Zealand, there is a lot of info that applies to our area. Especially the "cusping" formations that we see here during the winter and spring. And what seashore dwellers have done thru the years to "protect" their beaches and investments.Definitely worth the read! Following Hurricane Opal on October 4, 1995 the first Pensacola Beach Restoration (renourishment) started construction in 2003. After Hurricane Ivan on September 16 and Hurricane Dennis on July 10, 2005, Governor Jeb Bush toured Pensacola Beach to evaluate their beach restoration (nourishment and dune) construction that was already under way. The 2nd Pensacola Beach Restoration was completed about February 2006. 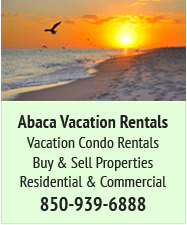 Following Hurricane Opal, Hurricane Ivan and Hurricane Dennis the contract between Santa Rosa County and Weeks Marine was executed about November 2005. 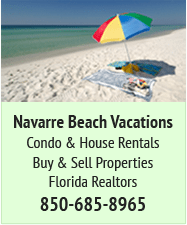 The local newspapers in December 2005 reported that Weeks Marine would start the construction of the Navarre Beach Restoration as soon they completed the beach restoration at Pensacola Beach, and that they expected to start about January 2006. When Weeks Marine completed the Pensacola Beach Restoration about February 2006, instead of coming to Navarre Beach, they went directly to construct the restoration at Panama City. 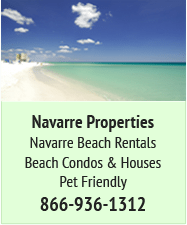 Weeks Marine conveyed that the Navarre Beach Restoration project would be delayed until June 2006. Most everybody concerned about our eroded beach became ballistic. Consequently, immediately e-mails, letters and phone calls were sent to Santa Rosa County Commissioners, Week Marine, State Officials, Governor Bush, US Senators and US Representatives. With in about a week Weeks Marine changed there mind and said that they would start construction in March. On March 17, 2006 the Weeks Marine first boats and equipment arrived at Navarre Beach. 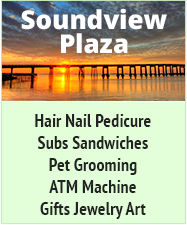 The Navarre Beach Restoration Project was completed in November 2006. The current Navarre Beach erosion caused primarily by storm surge from Hurricane Gustav that hit the Louisiana coast on September 1, 2008 and again from Hurricane Ike that hit the Texas coast on September 12, 2008. I have already posted information about the beach restoration plan. I would estimate that Gustav and Ike were in my opinion the equivalent of two hurricanes hitting our beach. 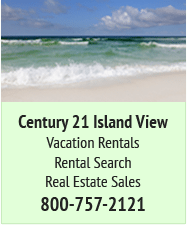 It has been said on this Forum that we have not had any major storms to hit Navarre Beach since the Restoration of 2006. I called Peter Ravella, the consultant for Santa Rosa County’s beach restoration project of 2006 this past December. Peter told me that he believed both Gustav and Ike storm surge at Navarre Beach might be equivalent to Category I Hurricanes. In summary it is most likely that the current beach restoration construction may not start until the summer months, because of all the federal and state regulatory agencies that have to approve all permit applications. I am very thankful that we had our beach restoration and berm of 2006. Otherwise, waves could have been crashing inside the garage areas of the Belle Mer, the Pearl, other high-rise condos and beach houses from the storm surge of Gustav and Ike. I have photos of people fishing from the Belle Mer pool deck about December 2005. Even though we have lost about 100 feet of beach sand since November 2006, we still have about 250 feet of beach for about 90% of 4.5 miles of beach. Some of this sand moves in one week and the next week it moves out. Last October 2008 at the Belle Mer we had a 6 foot high cliff right at the steps of the walkover. Last month new sand filled in the area where the cliff was. This process is natural and is ongoing and we have no alternative but to occasionally add more sand to our beach. Folks, our beach is a barrier island and this is what happens. For those planning to visit Navarre Beach this spring and summer, I would not worry about our beach. We still have the best beach on the Gulf Coast. Kenny, when you leave Las Vegas, do not look back, you will turn into a pillar of salt. Remember, where your treasure is, there your heart is also. HA! HA! That’s a good one. My Delta flight schedule was to leave Las Vegas for Navarre Beach at 6:00 AM this morning. It is now 9:40 PM Pacific Time and I’m still here in Las Vegas. Why is this? Because all of the airlines this morning were rescheduled or in my case my flight was canceled. I was told that hundreds of flights were canceled because of bad weather in the southeast. I received a phone call this morning that Delta moved me to a flight tomorrow about noon with US Air. Navarre Beach of course is east of Las Vegas, but my US Air flight tomorrow has its first stop at Los Angeles. Go figure. In Los Angeles I am switched to Continental that stops in Houston and from there I arrive in Pensacola tomorrow night about 10:30 PM. Of course all this is based upon there being no more flight cancellations. I’m not too upset about the situation. Under no circumstances do I gamble, however I had the chance to catch up on some things today. Dale says that Navarre Beach is very cold and windy tonight. So I’ll bring some sunshine Nevada and California with me when I arrive home tomorrow night. And no I did not go to this weekend’s Nascar Las Vegas 500. I’m not too much into racing.